On the IRS website you can find a processor that charges 1.87% to process your tax payment via credit card. You can make estimated payments at any time. You can make 2 payments per credit card processor for each quarterly estimate and for your year end bill. You can make another 2 payments each time by using a spouse’s information to pay. The tax payment fee may be tax-deductible, you should speak to a tax professional about that. If you can deduct the fee on your personal or business taxes that will change the math below based on your marginal tax rate. You can also request a refund for any overpayment and the IRS will cut cut you a check or a direct deposit into your checking account. It can definitely make sense to pay your taxes via credit card if you are signing up for a card and are trying to reach a spend threshold to earn a signup bonus that you won’t be able to reach without some help. Chase Sapphire Preferred Card: 60K bonus points for spending $4,000 in 3 months. $95 annual fee. Read more. 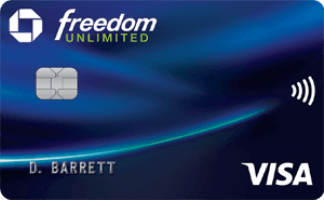 Chase Freedom Unlimited Card: 3 points per dollar spent on up to $20K within 12 months. $0 annual fee. Read more. Chase Ink Business Preferred Card: 80K bonus points for spending $5,000 in 3 months. $95 annual fee. Read more. Chase Ink Business Unlimited Card: $500 in the form of 50K bonus points for spending $3,000 in 3 months. $0 annual fee. Read more. Chase Ink Business Cash Card: $500 in the form of 50K bonus points for spending $3,000 in 3 months. $0 annual fee. Read more. Chase United Explorer card: 40K miles for spending $2K in 3 months, plus another 20K miles for spending another $6K in 6 months. $0 intro annual fee, then $95. Read more. Chase British Airways Card: 4 Avios per dollar spent in your first year, up to $30,000. $95 annual fee. Marriott Bonvoy Business™ American Express® Card: 100K bonus points for spending $5,000 in 3 months. $0 intro annual fee, then $95. Read more. Barclaycard Arrival Plus® World Elite Mastercard®: 70K bonus miles for spending $5,000 in 90 days. $0 intro annual fee, then $89. Read more. Chase IHG Premier Card: 120K bonus points, made up of 80K bonus points for spending $2,000 in 3 months and another 40K bonus points for spending another $3,000 in 6 months. $89 annual fee. Read more. Chase Marriott Bonvoy Boundless Consumer Card: 100K bonus points for spending $5,000 in 3 months. $95 annual fee. Read more. Even if you don’t have a new card, it can still make sense to pay your taxes with a credit card for the rewards and the extra time to pay. The Blue Business℠ Plus Credit Card from American Express offers 2 points per dollar spent everywhere. No annual fee. A $10,000 tax payment will cost $187, but you will earn 20,374 points. If you value your AMEX points at 1.6 cents each, that a value of $325.98 worth of points. You can transfer those points into miles with airlines like Avianca, British Airways, Delta, El Al, Singapore, Virgin Atlantic, and more. Note that you only earn 2 points per dollar on $50,000 of annual spending, though if you have multiple primary cards they would get 2 points per dollar on $50,000 of annual spending on each card. The Chase Freedom Unlimited card earns 3 Chase Ultimate Rewards points per dollar spent everywhere on the first $20K spent within 12 months of opening the card. After $20K in spending you’ll earn 1.5 points per dollar. No annual fee. A $10,000 tax payment will cost $187, but you will earn 30,561 points. If you value your Chase points at 1.9 cents each, that a value of $580.66 worth of points. If you or someone in your household has a Sapphire Reserve, Sapphire Preferred, or Ink Preferred card then you can transfer points from Freedom to one of those cards and from there to airlines like United and hotel programs like Hyatt. As United miles or Hyatt points it’s not hard to get a value of 1.9 cents of more per point when you travel. Alternatively if you have a Sapphire Reserve you can also redeem those points for 1.5 cents each towards travel, while having the Sapphire Preferred or Ink Preferred card would also you to redeem those points for 1.25 cents each towards travel. The Chase Ink Business Unlimited Card earns 1.5 Chase Ultimate Rewards points per dollar spent everywhere. If you open this card now you would also earn $500 in the form of 50K points for spending $3,000 in 3 months. No annual fee. A $10,000 tax payment will cost $187, but you will earn 15,281 points. If you value your Chase points at 1.9 cents each, that a value of $290.34 worth of points. If you or someone in your household has a Sapphire Reserve, Sapphire Preferred, or Ink Preferred card then you can transfer points from Freedom to one of those cards and from there to airlines like United and hotel programs like Hyatt. As United miles or Hyatt points it’s not hard to get a value of 1.9 cents of more per point when you travel. Alternatively if you have a Sapphire Reserve you can also redeem those points for 1.5 cents each towards travel, while having the Sapphire Preferred or Ink Preferred card would also you to redeem those points for 1.25 cents each towards travel. The Business Platinum® Card from American Express offers 1.5 points per dollar spent everywhere on transactions that are $5,000 or more. Check this post to see if you’re targeted for even more bonus miles. A $10,000 tax payment will cost $187, but you will earn 15,281 points. If you value your AMEX points at 1.6 cents each, that a value of $244.49 worth of points. You can transfer those points into miles with airlines like Avianca, British Airways, Delta, El Al, Singapore, Virgin Atlantic, and more. You can earn 1.5 points per dollar on $2,000,000 of annual spending. Having this card allows you to get 35% of your AMEX points rebated on all business/first paid airfare and on coach airfare with the airline of your choice, up to 500,000 bonus points per calendar year. The Barclaycard Arrival Plus® World Elite Mastercard® earns an effective 2.11 Barclay Arrival miles per dollar spent everywhere as it earns 2 miles per dollar spent, plus you’ll get 5% of your points refunded when you redeem points. If you open this card now you would also earn 70,000 bonus miles for spending $5,000 in 90 days. $0 intro annual fee, then $89. A $10,000 tax payment will cost $187, but you will earn 20,374 points. Those points can be used to refund $203.74 of travel charges and you’ll then get a rebate of 1,019 points. The Capital One® Venture® Rewards Credit Card and The Capital One® Spark® Miles for Business earn 2 Capital One miles per dollar spent everywhere. Those miles can be transferred into airline miles at a ratio of 2:1, 2:1.5, or 1:1. A $10,000 tax payment will cost $187, but you will earn 20,374 Capital One miles. If you value your Capital One miles at 1.2 cents each, that a value of $244.49 worth of points. You can transfer those points into miles with airlines like Avianca, Flying Blue, Qantas, and more. The Capital One® Spark® Cash for Business is a business card that earns 2% cash back, so you’ll come out .13% ahead of the 1.87% tax processing fee. The Marriott Bonvoy Business™ American Express® Card is offering targeted cardholders 7.5K points for every month that you spend $5K for up to 6 months. You’ll effectively earn 3.5 points per dollar on tax payments, which would be worth 2.625% back at a value of 0.75 cents per point. This card offers a 2nd annual free night for spending $60K in a calendar year. This card also offers Marriott Gold status for spending $35K in a calendar year. The discontinued Marriott Bonvoy Consumer AMEX is offering 25K bonus points for each $25K spent in 2019, up to $100K. You’ll effectively earn 3 points per dollar on tax payments, which would be worth 2.25% back at a value of 0.75 cents per point. The Marriott Bonvoy Brilliant Consumer AMEX (and the discontinued Ritz-Carlton card) offer Platinum status for spending $75K in a calendar year. You’ll need to determine how to value having Platinum status to see if its worth putting tax payments on this card. The Chase World Of Hyatt Credit Card offers a 2nd annual anniversary night if you spend $15K in a cardmembership year. This card also offers 5 elite qualifying night credits every year and you’ll earn an additional 2 night credits towards elite status with every $5,000 that you spend. Free anniversary night at category 1-4 hotels without any spending required. Spend $15,000 on the card and you’ll get a 2nd free anniversary night at category 1-4 hotels. Earn 20 night credits (With $40,000 of card spending or less with a combination of award or paid nights at Hyatt hotels and spending) and you’ll get 2 club lounge awards that are valid for club access for the duration of your Hyatt stay. Earn 30 night credits (With $65,000 of card spending or less with a combination of award or paid nights at Hyatt hotels and spending) and you’ll get Explorist status, 2 more club lounge awards, and another free night at category 1-4 hotels. Earn 40 night credits (With $90,000 of card spending or less with a combination of award or paid nights at Hyatt hotels and spending) and you’ll get a $100 Hyatt gift card or 5,000 bonus points. Earn 50 night credits (With $115,000 of card spending or less with a combination of award or paid nights at Hyatt hotels and spending) and you’ll get 2 confirmed suite upgrades that are each valid on paid or award stays of up to 7 nights. Earn 60 night credits (With $140,000 of card spending or less with a combination of award or paid nights at Hyatt hotels and spending) and you’ll get Globalist status, 2 more confirmed suite upgrades on paid or award stays, and a free night at category 1-7 hotels. For every additional 10 night credits (With $25,000 of card spending or less with a combination of award or paid nights at Hyatt hotels and spending) you’ll get another confirmed suite upgrade or 10,000 Hyatt points. Hyatt also awards a free category 1-4 hotel night after staying in 5 of their hotel brands (on paid or award stays) and a free category 1-7 hotel night after staying in 10 of their hotel brands. I value Hyatt points at about 1.5 cents each, so depending on how many additional free nights and elite status benefits you can rack up and how you value those free nights and benefits, it can make sense to put tax payments on this card. The Chase British Airways Card offers a free companion pass for spending $30K/year. If you open a new card you can also earn 4 Avios per dollar spent in your first year, up to $30,000. The free companion pass is valid on BA award tickets worldwide, though fuel surcharges will apply. I value BA Avios at about 1 cent each. You’ll need to determine how to value the companion pass to see if its worth putting tax payments on this card. The JetBlue Plus World Elite Mastercard offers Mosaic status for spending $50K annually. JetBlue points are a fixed value currency, so there are no aspirational aspects to this program as points will typically be worth between 1.1-1.5 cents each. You’ll need to determine how to value having Mosaic status to see if its worth putting tax payments on this card. The Delta Platinum Consumer and Delta Platinum Business cards offers elite qualifying miles for meeting annual spend thresholds. If you spend $25K/year you’ll also waive the requirement to spend a minimum amount on Delta flights in addition to flown miles to earn elite status. The Delta Reserve Consumer and Delta Reserve Business cards offers elite qualifying miles for meeting annual spend thresholds. If you spend $25K/year you’ll also waive the requirement to spend a minimum amount on Delta flights to earn elite status. I value Delta miles at about 1 cent each. You’ll need to determine how to value earning qualifying miles and the flight spending requirement waiver to see if its worth putting tax payments on this card. United cards like the United Explorer card and United Explorer Business card waive the requirement to spend a minimum amount on United in addition to flown miles to earn elite status if you spend $25K/year. I value United miles at about 1.7 cents each. You’ll need to determine how to value the flight spending requirement waiver to see if its worth putting tax payments on this card. The AMEX Hilton Honors Ascend card offers a free annual night for spending $15K/year and Diamond status for spending $40K/year. The AMEX Hilton Honors Aspire card offers a 2nd free annual night for spending $60K/year. The AMEX Hilton Honors Business card offers a free annual night for spending $15K/year, another annual night for spending another $45K/year, and Diamond status for spending $40K/year. I value Hilton points at about 0.5 cents each. You’ll need to determine how you value the free night and status benefits to determine if it’s worth putting tax payments on this card. The Chase IHG card offers 10K bonus points for spending $20K in a cardmembership year. I value IHG points at about 0.5 cents each, so it’s probably not worth putting tax payments on this card. The Chase Southwest Business card gives companion pass status with unlimited free uses until the end of the next calendar year if you earn 110K points in a year across all Southwest cards. The Chase Southwest Priority card gives companion pass status with unlimited free uses until the end of the next calendar year if you earn 110K points in a year across all Southwest cards. This card also offers 1.5K tier points towards A-List status for every $10K spent, up to $100K annually. The Chase Southwest Plus card gives companion pass status with unlimited free uses until the end of the next calendar year if you earn 110K points in a year across all Southwest cards. The Chase Southwest Premier card gives companion pass status with unlimited free uses until the end of the next calendar year if you earn 110K points in a year across all Southwest cards. Southwest points are a fixed value currency, so there are no aspirational aspects to this program as points will typically be worth between 1.3-1.7 cents each. You’ll need to determine how to value having Companion Pass and A-List status to see if its worth putting tax payments on this card. I value AA miles at about 1.2 cents each. You’ll need to determine how to value earning qualifying miles to see if its worth putting tax payments on this card. Is it worth it? It all depends on what you do with your miles. This isn’t the cheapest way to earn miles, but it’s painless. The ability to overpay your taxes to reach a threshold is also helpful. The value of airline miles is huge if you fly last-minute, one-way, or in business or first class internationally. If I need a last minute flight from Cleveland (or Chicago, Detroit, Miami, Montreal, Orlando, Pittsburgh, Toronto, etc) to NYC that can cost $500 each way, I can instantly transfer 7.5K points to British Airways to book a short-haul on American with no last minute booking fees. Or if American doesn’t have availability I can instantly transfer 10K points to United for their short-haul award. That’s a value of up to 7 cents per point. 76K points transferred to Singapore is enough for a ticket in a private couples suite on an A380 one-way from JFK to Frankfurt with no fuel surcharges. 120K Marriott points transfer into 50K Alaska miles, enough for a round-trip flight between JFK and Vancouver in Cathay Pacific business class or a one-way business class flight on Cathay Pacific from JFK to Hong Kong. With 62.5K Alaska miles you can even fly in business class from JFK to Tel Aviv or Johannesburg with a free stopover in Hong Kong for as long as you want. Which card do you use to you pay your taxes? Or is it too pricey of a method to get miles? Sound off in the comments! 65 Comments On "2019: Is It Worth Paying Your Taxes On A Credit Card To Earn Miles? A Breakdown By Card Benefits And Value"
As long as you are using your friend’s friend’s social security number why bother filing a tax return at all? Dan, How can i redeem 1.6 cent a point on the Amex business reward card ? You can’t redeem for cash. Value in Amex points are with transfer partners where you can get much greater value than just cash. Can my friend use my cc to pay his Tax Bill, is that risky or not allowed? Bank of America premium rewards with at least 100k banked with BoA or Merrill Edge. You get 2.625% cash back (1.5 with 75% bonus). Since it’s higher than the processing fees you end up making money. I also use this card to pay my daughter’s tuition (2.5% fees). Best unlimited cash back card hands down, if you have $100k or more in a Bank of America or Merrill Lynch account. 2.625% unlimited cash back. No annual fee. It has a $95 Annual Fee, but a $100 airline credit that’s pretty easy to use AND Global Entry Reimbursement. You’ll get more points with other options, so it depends on how you value those benefits. Dan, 1.87 cc fee with no Samsung pay vs 1.96 with Samsung pay is a no brainer, no? Dan – Is this a different conclusion than you’ve had in the past? Am I missing something – it seems if you have the cards that give %2 cash back then it is really a no brainier? I get that you are tying up 10K for $13 – maybe that is why its barely worth it – unless you get the $500 for opening a new card. I guess if they eat 1.87 there isn’t much left for us but it sure beats one of those store scams – uncle sam will send you the check! Same conclusion as every year. 1% back without limits? Which one? It has always processed as debit with the $2.55 fee or whatever for me AND I get the 1%. By multiple primary cards, would you mean cards for two separate businesses so you’d max it out at 100K between the two? I seem to blow through the 50K within the first few months with my business expenses on unbonused spend. You can have multiple cards for the same business or for different businesses. No one say anything about citi double cash, from any blog, it’s 1%+1% cash rebate. I just got the IHG card and still have 4k to meet the signup bonus of 120k points. Since I generally travel only by car with my family, it’s the card that I’d be most likely to maximize, as I rarely fly. I think it makes sense for me to pay taxes on that card; is there any harm in overpaying by several thousand dollars? Dan, You have made major corporations change their policy’s based on your posts/suggestions/hints, do you think you will get the us gov to do the same? Do the credit card companies consider paying the tax bill as a cash advance? No. It’s a regular purchase. I already got the spark card in the past, will I get the bonus if I apply now again? Ba – no signing bonus ? Why would you ever use that over Freedom or Ink Unlimited? You should have posted this earlier. Is there enough time to apply and use these cards before April 15? 2. Yes, if you apply today you should be good. Dan, Is it too late to apply for the Amex business card to pay my taxes? Will there be enough time for the card to arrive before Apr15 ? AMEX gives you the card number instantly, so you can definitely still apply now. Just opened the Amex Blue, was approved but they won’t give me the #. Any suggestions? Is there any way I can pay my taxes with a prepaid visa or mater card gift card ? If I sign up for a chase ink business today, will it get here in time? If you are approved, sure. Thanks. Which do you recommend, chase saphire preferred or chase ink business preferred? Is there any way I can pay my taxes with multiple prepaid visa or mater card gift card ? I have $20k in taxes to pay… which card do you recommend? Lots of great options listed in this post. No way to pick one without knowing more about what you have, where you want to go, etc. Dan does this work with state taxes? I live in New Jersey, is the fee the same or is it higher? Thanks Dan, as always, for the tips. If I already have the Barclaycard Arrival Plus mentioned above and the old, now discontinued, Bonvoy Consumer Amex, which would you recommend between the two to pay taxes? If I use the Amex, I’ll make a concerted effort to put $25K on it for the bonus. If I don’t, I’ll lean more towards the Barclaycard. Thanks again! there are 3 companys, pay1040 is the cheapest, why go with the other ones? How long after I make my payments, should I wait to file my taxes? Right away? Next day, one week? FYI, I made 6 payments (2 on each of the 3 processors) under my SSN as the primary. I then made 2 payments (at Pay1040) using my wife’s SSN as the primary (and my SSN as the spouse as Pay1040 allows for you to enter the spouse’s SSN). My return got held up and I had to call to have the payments moved from my wife’s SSN to my SSN and was advised that payments should only be made under my SSN as the primary. I guess it worked with the call, but I will try to avoid doing that again. So is it safe to assume that we can make 2 payments via each of the 3 different processors but better to do only under the primary SSN? So in essence 6 payments in total. Was that also an issue or was the issue just doing under both yours and your spouse’s SSN? Yes, I have always made 2 payments via each of the 3 different processors (every quarter and for the final return) and have never had a problem. I made several payments two days before e-filing my return and then it got hung up. I was a little concerned that that may have been the problem, but it wasn’t. The IRS agent at first told me to wait 21 days to call, but then I asked to verify each of my payments with her and went one by one through all of them. It was not until I got to the two payments I made using my wife’s SSN as the primary that it became clear that that was the hold up. The IRS agent put me on hold for a few minutes, said that she “moved those payments over” and that I should use the primary SSN only going forward. Unfortunately, I already made Q1 estimated tax payments using my wife’s SSN again, so I guess I’ll be calling back soon. Now if we could only get tax payments to be a bonus category that we would really be onto something!